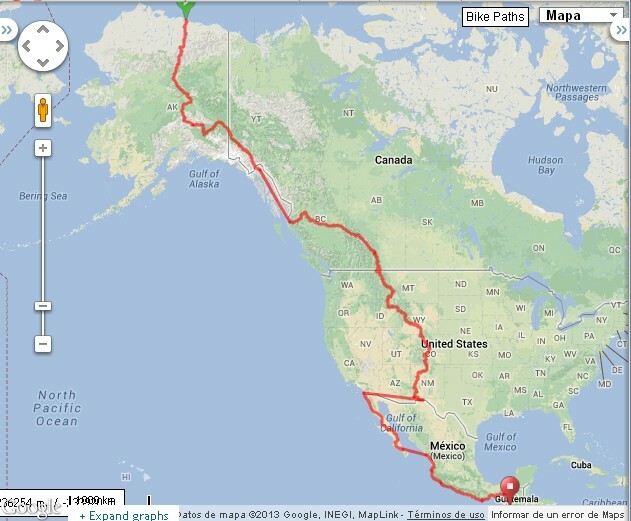 Route from Prudhoe Bay, Alaska up to Quetzaltenango, Guatemala. Not even halfway! I´ll try to update this every month or so; it´s somewhat awkward. In reality it´s around 13000 kms so far since the three straight lines are included in the graph where I had to take a ferry, bus and sailing boat; I couldn´t emit these sections from the elevation profile. 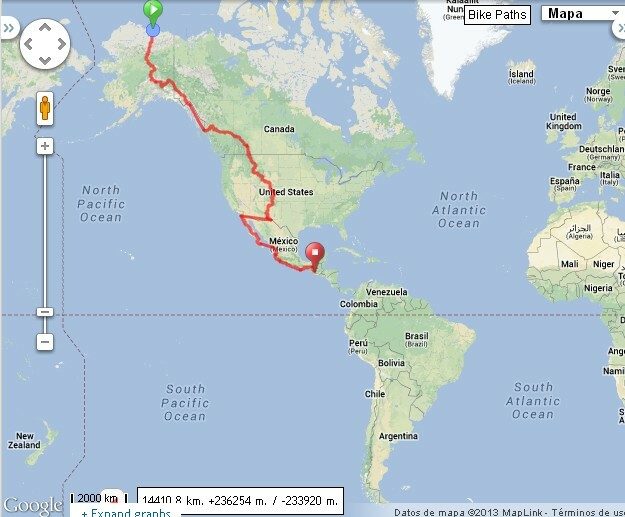 Even so I think the http://www.ridewithgps.com software did well to handle all the data since it´s a long way! July 4, 2013 in A.Américas.